Don’t we all do it? Add books to our “want to read” on Goodreads like a lunatic the moment we see one or two words that convince us it’ll be the next best thing? Then we look back after a while and wonder whether it was the right call to make. Maybe we shouldn’t have added them that quickly? Maybe we should’ve read some more reviews? Maybe, just maybe we’re a bit too impulsive when it comes to buying books? Knowing myself, I’d be nodding at every single question I just asked which is why.. it’s time to take a look at some of the upcoming releases I’ve been adding to my list these past couple of weeks. Time to take a critical look and see which ones I’m actually not so sure about anymore. Maybe, just maybe, you guys can convince me to keep them on the TBR – or take them off it! So, let’s take a look at the “Upcoming Releases I’m On The Fence About” and.. help me make up my mind! As for Slayer by Kiersten White? I guess it’s weird I’m adding it to this post since I’m actually very keen on reading it – hello Buffy the Vampire Slayer-youth! But on the other hand.. I didn’t really enjoy White’s Paranormalcy-trilogy so.. help? 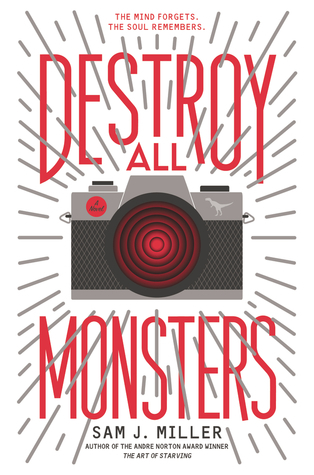 Destroy All Monsters by Sam J. Miller sounds like an amazing read with a focus on friendship and mental health. For some reason though, I’m still not sure about it? I can’t even pinpoint why exactly. What do you think? 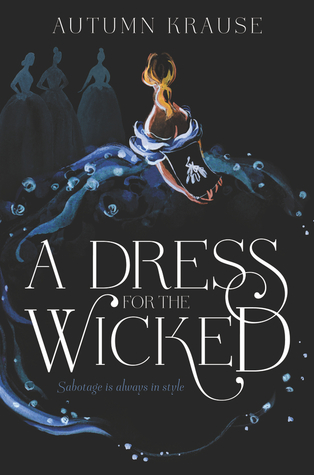 I absolutely love the cover of A Dress for the Wicked. And the title intrigues me to no end as well! But.. it’s historical fiction and that’s very often a hit or miss for me personally. Goodreads speaks about historical fiction and contemporary fans flocking for this story and, even though I am a contemporary fan, I’m just not sure whether it’s something for me? I know this is only four books and not ten, but overall I’m pretty set on not letting my Goodreads go too crazy lately so it was a challenge to already find these? In any case, I’d love to hear your thoughts on these books! Help me make up my mind – do I add them or do I leave them be? What do you think? Which ones should I most definitely add? Are there books on here you’d never in a million years pick up? What books are you on the fence about? Feel free to leave a link to your TTT so I can try helping you out as well! Funny how you’re excited for a book and then you get denied for an ARC and then… meh. I try to review one ARC/new release a week, so if I don’t read it as an ARC, it might not get read. I thought Kiersten White’s Paranormalcy was just okay, but I am absolutely in love with And I Darken, so I’d say I’m pretty hopeful when it comes to Slayer. Hm. People still seem either all for Slayer or against it but I’m more and more tempted to just give it a shot. I do believe I have And I Darken on my TBR – if my half-dead brain remembers correctly – so maybe I should just read that first to see how her writing’s grown compared to the Paranormalcy trilogy..
That sounds like a pretty good idea. I still haven’t gotten around to reading Slayer. So many books. So little time. Lol. I am definitely still on the fence about Slayer. Buffy is incredibly special to me and I think I might be too close to it for the spins. I am going to read And I Darken first to see if I even like White’s writing first. The only one I am interested in is Slayer. I am so excited to read this book and I would have already bought it if I had the money. For that reason alone I would say keep it but like I said I haven’t read it yet so I can’t comment on if the book is actually good or not. The Beholder has such a badass cover! It does sound pretty romance-heavy, though. I liked White’s the Conqueror’s Saga. But Slayer isn’t high on my list to read. Destroy All Monsters has a great cover and I just read the synopsis which sounds pretty interesting. I’m going to be trying Slayer soon so I hope it’s good – I’m very leery though because I’ve heard such mixed things. I’m super excited for The Slayer. If you’d like, I’ll tell you what I think of it after I read it! Hopefully, it will be a great read and a nice update to the Buffy the Vampire Slayer universe. Okay, I haven’t read any of the books featured above before but upon looking at their Goodreads synopsis, here’s my opinion: keep SLAYER and DESTROY ALL MONSTERS! And don’t hate me but I’d never pick up anything by Cassandra Clare*hides in a corner. * I tried reading City of Bones but after a few chapters, I put it down. I wasn’t moved and I was bored. That is not my genre at all so I can’t help you decide, BUT THERE IS A MEME FOR THAT!!! It was started by Lia at Lost in a Story but I see it from time to time on The Writerly Reader. I keep meaning to do this myself but never make the time. It sounds fun to me. I like to read her little blurbs about how she decides if each book is a Keep or a Go. And yes, I add books to Goodreads TBR like a lunatic, as you said. Perfect description. and yeah, The Beholder doesn’t sound that gripping, imo. it could’ve been an awesome plot if it wasn’t so romance focused – I mean, maybe it’s not and it’s about the protagonist ~finding herself, but the fact that getting married is such a huge plot point just puts me off. 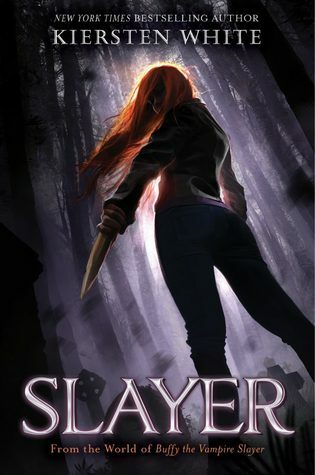 Buffy is my-all time favorite show, so I was super nervous about reading Slayer. I thought it was quite fun – I mean it’s not as good as the show and you can tell the author was really feeling their way through the world during this one. However, I appreciated the cannon and lots of shout outs and what not. Also, liked that this really focuses around the Watchers. Not sure about the others but Destroy All Monsters looks really cool but I haven’t heard many talk about it. Great list! 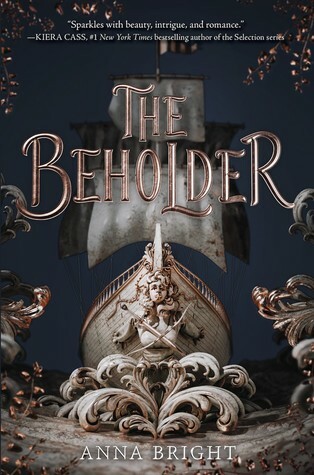 I love the cover of The Beholder, but I’ve heard quite a few people saying it’s similar to The Selection, which I had no interest in reading, so I doubt I’ll pick that one up. I hope you enjoy these if you get to them, though!